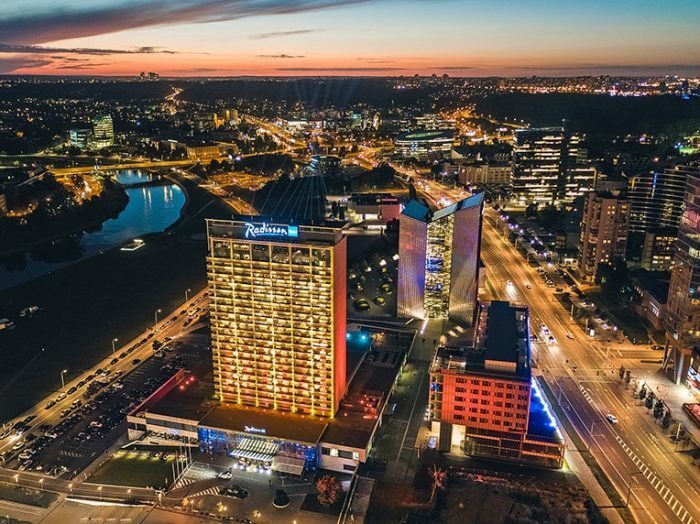 The Radisson Blu Hotel Lietuva – the biggest and most stylish hotel in Vilnius, set in the heart of Lithuania’s capital – was recently graced with a purpose-made 3-day lighting installation in the occasion of an additional building opening event. 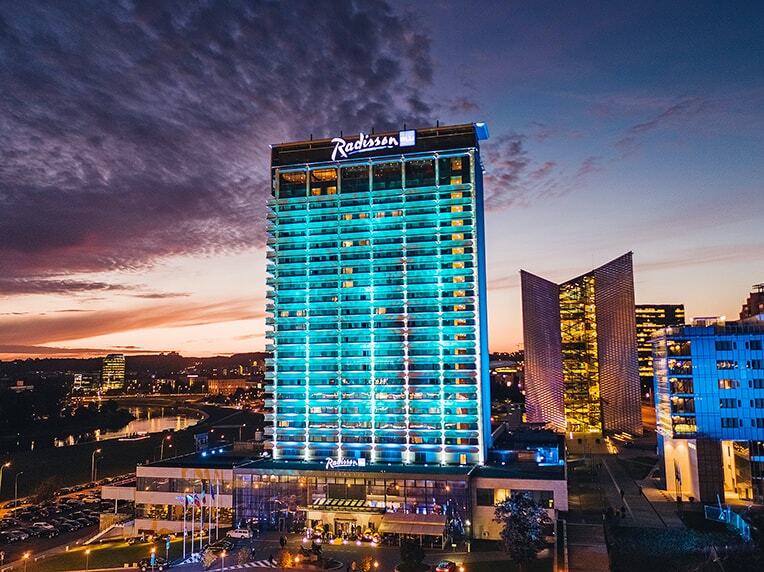 24 BRICK projectors fitted with 40° holographic filters were placed on two opposite sides of the rooftop, to light from a distance of 20 meters both sides of the 20-storey main building. 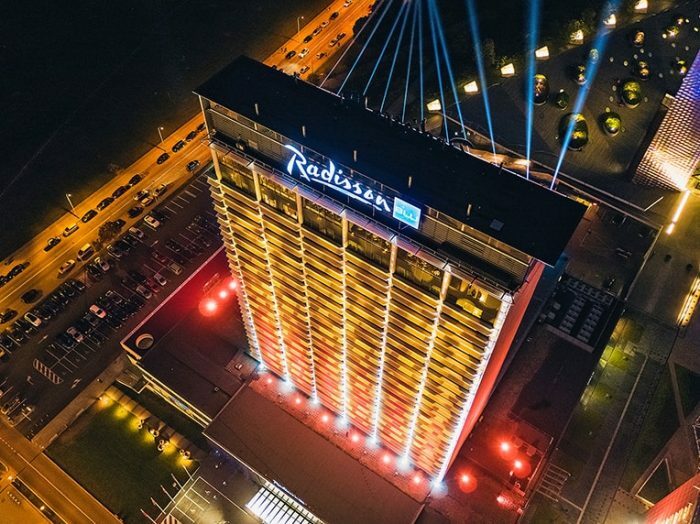 10 more BRICK units fitted with 60° x 10° filters were placed on the rooftop of another building 50 meters away, in order to light up the front of the Radisson Blu Hotel. The tall building was washed with different color combinations, such as orange + red, or blue. 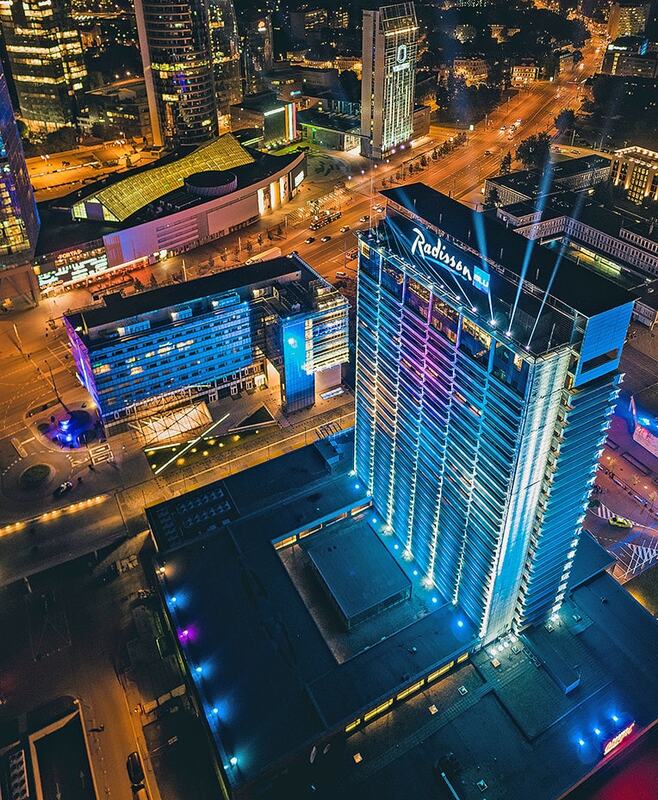 The lighting project was entrusted to ABLight team; Art director Arvydas Buinauskas. ABLight team also programmed the lighting. 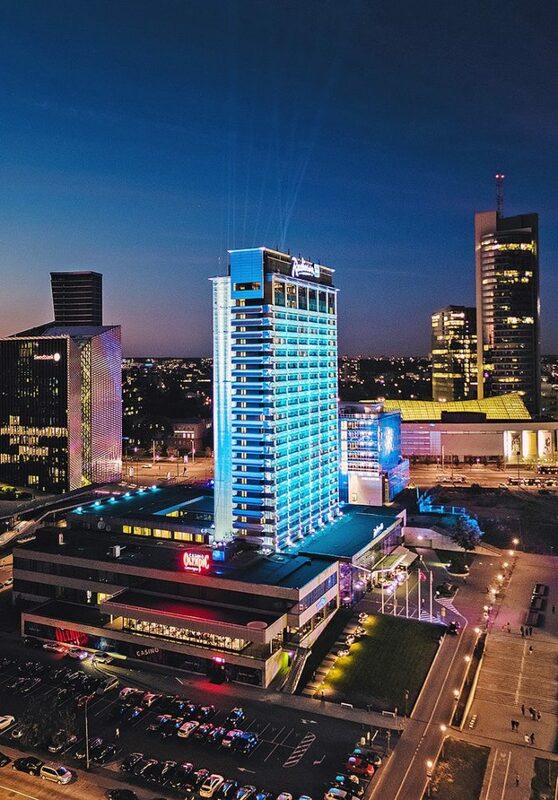 BRICKs were supplied by Sonus.